While the year 1914 will forever resonate as the year in which the first world war commenced, 1914 was not in any way a year in which the nation was expecting war in a matter of weeks or even months. Life continued, football continued. By way of example, 1914 saw the first ever production of a Sherlock Holmes movie “A Study in Scarlet”, and in January of the year, the Leeds Rent Strike, in which a mass movement to protest against the increase in rents by landlords was eventually crushed, with ultimately the landlords blacklisting the leaders of the strike, thus ensuring they were unable to rent property again. After two months, the strike collapsed. As for the moves towards war, in retrospect we can certainly see them, for from 1898 on Germany had begun to enhance its navy, much to the concern of Britain. Britain’s response was to build a series of pacts with France and Russia resulting eventually in Europe being divided into two: the Entente Powers including Britain, and the Central Powers with whom the Entente ultimately went to war. As for Henry Norris, when not attending to matters relating to Arsenal, or his duties as Mayor of Fulham, he and Hall worked on the housing development they had in Wandsworth, and to a lesser degree the houses they were building in Fulham. 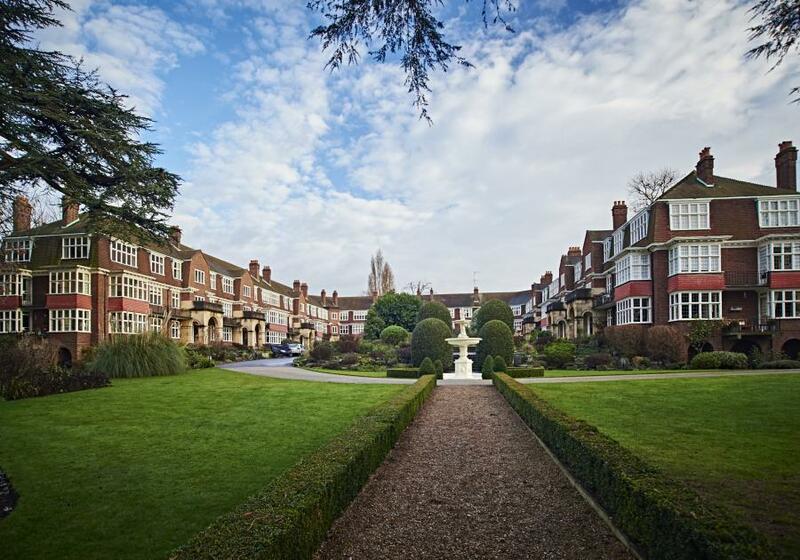 The Norris family also moved to Queensberry House, Friars Lane, just off Richmond Green. This is not the actual house that Norris lived in, as in the 1930s the grand building was pulled down and these apartments built in its place. They now sell for getting on for £1m for a three bedroomed flat. At the time the Norris family lived there, the main house had 14 bedrooms and gardens which went to the Thames. Clearly he was in the habit of entertaining. However Henry Norris did not buy the property but leased it from the cricketer de Trafford and stayed there until 1920. Also Sally Davis reports that at some time in 1914 John Peters took on the job of office managers at Arsenal. He had worked previously for Allen and Norris, but had been taken ill with pneumonia and been advised by his doctors to rest for a while and then find an indoor job. 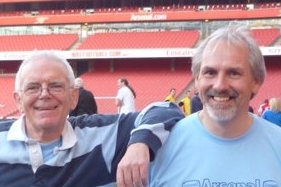 Norris returning to help the man out was typical, and Peters managed the daily affairs of the club and of the Highbury ground from thence forth. He stayed in the club’s employ until the late 1940s, having managed it through two world wars. Peters is one of those men, essential to the running of a successful club, who is generally ignored by all the supposedly complete histories of the club – so we must all be very grateful to Davis for gathering such details as she found. His job would have been club secretary, reporting to the club’s manager, but also because of his long term association with Henry Norris, reporting to him as and when necessary. It seems therefore to have been a two way relationship – Norris helped out a trusted past employee whose illness had forced him to stop work, and also knew that in case there were any difficulties or issues within the club, he had a man whom he could trust to judge which Norris needed to know about. This should not however be thought of as an undercover agent – everyone knew John Peters had a close connection with Henry Norris. It was however a very sensible set up which also saw to it that a past employee was helped through difficult times. Back with the football, on New Year’s Day Arsenal went to Notts County, and after four straight wins suffered a defeat, losing 0-1. Two days later, on the Saturday, Arsenal returned to winning ways with a 3-1 home win over Wolverhampton in front of another 20,000 crowd, leaving the club feeling positive about its first ever FA Cup match since moving to the new ground. Two goals from Rutherford – by now a firm favourite with the crowd – did no harm at all to club morale. It was not however the first Cup match at Highbury for Arsenal were drawn away against a First Division team: Bradford City. City were currently fifth, just five points behind the leaders, Blackburn Rovers. And despite Arsenal’s progress in the League the difference between the clubs was too much, and Arsenal lost 0-2. It was Woolwich Arsenal’s last game in the FA Cup. By the time next season’s Cup came around Woolwich Arsenal had become The Arsenal. But rather than moving straight on to the next game I think it is worth pausing to consider the issue of Bradford City, in the light of the protests that met Arsenal’s journey across the river, as I think it puts football in the early 20th century into a better context of how football was operated at the time. Bradford City were thus the first team to join the league without ever previously having played a game. Two years later Chelsea emulated the feat by joining the League not only without playing, but also without even being an established sports club with a ground. Bradford City survived their change of code and were promoted in 1907-08 to the first division and in 1910/11 they won the FA Cup – the club’s one honour. However in the 1913/14 season they progressed little further. Bradford City after beating Woolwich Arsenal in the first round lost to Sheffield United in the second round. Ultimately Burnley beat Liverpool in the final. And so Woolwich Arsenal in the FA Cup ended as it started – with defeat in the first round. In 1894 it was against Sheffield Wednesday, here it was against Bradford City. It was their 33rd match excluding replays, in the competition proper, and twice they had played in the semi-finals. They left the cup as they started, as a second division team, but now they had a new stadium with excellent public transport, and much bigger crowds. The following weekend Arsenal were away to Hull City, whom they beat 1-2, and on 24 January it was Arsenal 1 Barnsley 0, with another goal from Rutherford in front of 19,000. Gaining three wins in a row Arsenal made it seven wins in eight league games. Thereafter it was Barnsley at home and another win. Finally on 31 January, as a result on the day of the second round Arsenal played first division Everton in a friendly. This was because Arsenal’s league match was postponed as their arranged opponents (Glossop – had knocked out Everton) were still in the FA Cup. A satisfactory crowd of 10,000 turned up at the time On the same day 10,736 – a record for Glossop – turned up for their second round match again Preston North End. Interestingly and were presided over and bankrolled by Sir Samuel Hill-Wood – of the family that later went on to run Arsenal. Glossop played on until 1915, but were voted out of the League upon the resumption of League football in 1919, after the war. Here are the month’s results…. The series continues… Here are the details so far. As always, great stuff Tony– thanks!